Beginning of climate conference in CopenhagenIn spite of the start of the UN conference on climate change in Copenhagen, top Russian officials make contradictory statements on GHG reduction commitments. In the end of November, President Medvedev declared new Russian targets on GHG emission cuts. At the first day of the conference, the Minister for nature resources Trutnev said that it is “not very possible” to talk about specific numbers of Russian commitments. 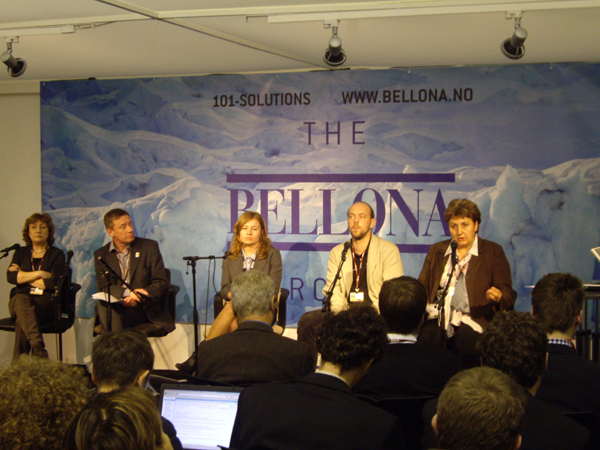 On 8 December at the press conference in Bella Centre, where the UN climate talks take place, Russian NGOs commented the Russian climate policy. On 7 December, the UN conference on climate change started in Copenhagen. 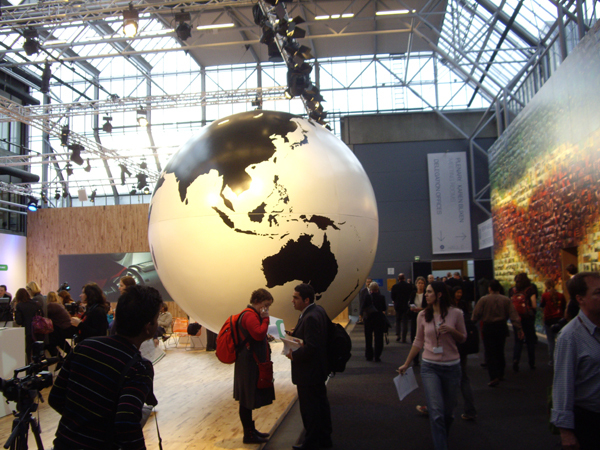 The ambitious aim of the conference is drafting the international agreement to replace the Kyoto Protocol that expires in 2012. In spite of the beginning of the conference, top Russian officials make contradictory statements on GHG reduction commitments. On 18 November, President Medvedev declared that Russia will keep GHG emissions in 2020 at the 75% level of 1990 baseline. Meanwhile, at the first day of the conference, the Minister for nature resources Trutnev said that it is “not very possible” to talk about specific numbers of Russian commitments. At the press conference in Bella Centre Russian NGOs commented the Russian climate policyOn 8 December at the press conference in Bella Centre, where the UN climate talks take place, Russian NGOs commented the Russian climate policy. Alexey Kokorin (WWF, Moscow) said that GHG emission cuts by 25 % actually mean ‘business as usual’ scenario. Russia could easily take -35% commitments. Vladimir Slivyak (Ecodefense) presented the first December issue of the information leaflet Below 2o, which has been published during UN climate talks since December 2008 and reflects the critical opinion of Russian NGO-observers at the UNFCCC negotiations. Elena Kobets (Bellona) stressed the necessity to consider the problem of “black carbon” from burning agricultural wastes in the international agreement. Olga Senova (Climate Secretariat of the Russian Socio-Ecological Union) commented that Russia’s potential in energy efficiency and renewables allows for limiting emissions at the level of 65% of the 1990 baseline and gives opportunities for their further decrease. Russian NGOs stated this position in their Appeal sent to the Russian President and the Government.